This highly customizable board is $30 cheaper than Amazon's price and comes with Cherry MX Brown switches. About two months ago, Newegg had a great deal on a mechanical keyboard with Cherry MX Blue switches. Today, Newegg has a similarly nice deal on a mechanical clacker, just without the clack. 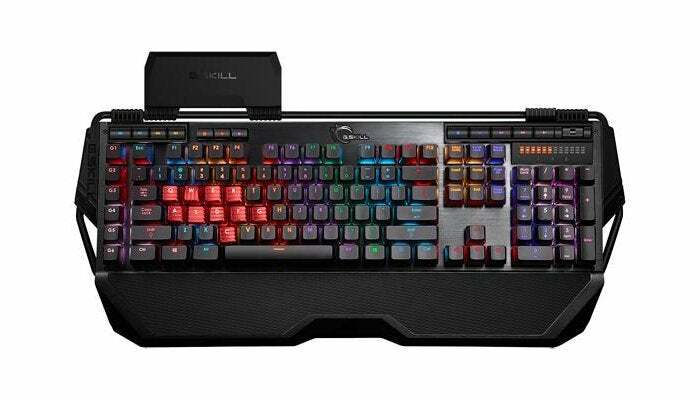 Newegg is currently selling the G.Skill Ripjaws KM780 RGB keyboard with Cherry MX Brown switches for $105. 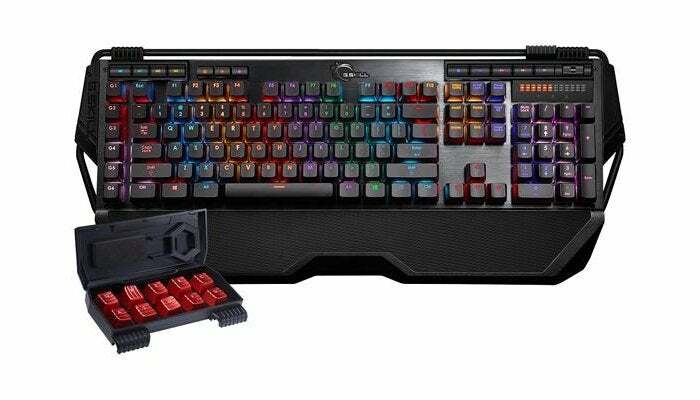 This gaming keyboard is very similar to the KM780R we looked at in February. There's the same anodized brushed aluminum back plate, fully programmable keys, per-key backlighting, full n-key rollover, on-the-fly macro recording, six macro keys, media control panel, and audio pass-through. The big difference is that this keyboard has RGB key backlighting while the previous one had red-only. RGB allows for customizable multi-colored lighting profiles to suit your aesthetic or gaming requirements. The keyboard also comes with extra gaming keycaps, a keycap tool, and a keycap case that hooks onto the keyboard. As for the MX Brown switches, these are very similar to MX Blue, which are popular with anyone who wants to game but also needs to type all day. Similar to blue switches, brown have the same tactile feeling but lack the clickety-clack sound that many people love with blue. Check out our primer on the differences between mechanical keyboard switches for more information.